The luxury car market is full of crossovers that claim exceptional passenger and cargo room, elegant interiors and impressive tech, but it's the 2015 Lincoln MKT that puts them all to shame. The MKT is a beautiful mixture of a crossover's power and a wagon's family-oriented passenger and cargo space. Keep reading our 2015 Lincoln MKT review for more details on this fantastic crossover. The 2015 MKT is a large crossover wagon that boasts seating for seven passengers and over 76 cubic feet of cargo space. Available in two trim levels: MKT and MKT with EcoBoost, shoppers looking for the 2015 Lincoln MKT in Grapevine will find a host of excellent features that Texas families will love. These features include adaptive xenon headlights, 19-inch alloy wheels, keyless ignition/entry, rear parking seniors, a sunroof and automatic high beams. The car's cabin is decked out in full leather upholstery, heated and ventilated front seats, a tilt-and-telescoping steering wheel, retractable manual second-row sunshades and tri-zone climate control. Our 2015 Lincoln MKT review found several interesting tech features on the crossover, including the MyLincoln Touch infotainment system, a rearview camera, Sync voice commands, an eight-speaker sound system, an iPod interface and satellite radio. The EcoBoost MKT adds a few more power-oriented features, such as a turbocharged V6 engine, an adaptive suspension with shock absorbers and an all-wheel drive system. As with other models in Lincoln's lineup, drivers can add several packages to the crossover that add a few more power and tech features, including the Elite package that offers a new six-year subscription to Sirius XM's traffic and Travel Link services. Under the hood, the standard Lincoln MKT model is powered by a 3.7-liter V6 engine that rates at 303 horsepower and 278 lb.-ft. of torque. The EcoBoost's turbocharged V6 bumps the crossover's power to 365 horsepower and 350 lb.-ft. of torque. Both engines on the standard model and the EcoBoost use a six-speed automatic transmission. Stop by our showroom to test drive the 2015 Lincoln MKT in Grapevine. For even more information about this fantastic family wagon, contact us at Grapevine Lincoln today! We challenge you to compare the latest MKT model to competitors like the 2015 Buick Enclave, Acura MDX and the Lexus RX 350. That's how confident we are that it's right for you. The MKT's useful features and budget-friendly MSRP are just a few of the terrific characteristics that shoppers will be thankful for. 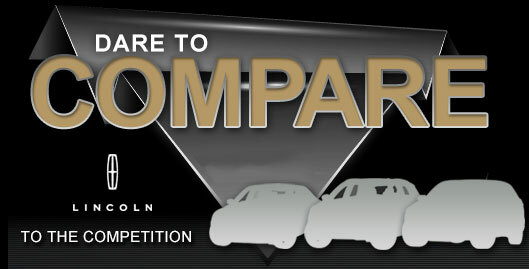 Hundreds of LINCOLN drivers choose it because it's a fabulous value; just compare its price to the vehicles listed above. For more information, check out the MKT's quick-facts list below. Does the MKT have what you want out of a vehicle? Check out Grapevine Lincoln's overview above, as well as other 2015 LINCOLN reviews to find the right model for your lifestyle. It's our duty to furnish reviews composed by the most outstanding automotive writers in the business - it's just one of the things that makes us a foremost area LINCOLN dealer. Filled with invaluable material and specs, including cabin amenities and other info, each section gives you full access to everything LINCOLN's lineup has to offer. After reading over our review of the MKT, find out about financing offers that'll help you save a significant amount on your purchase at our LINCOLN dealership in .